Do I Need Ordinance or Law Coverage? Day 029 | Do I Need Ordinance or Law Coverage? Let’s say your home was built in 1960. There’s a good chance the City or County in which you live have updated building codes since that time. You had a fire that took half of your home. As you prepare to rebuild, the City informs you your home doesn’t comply with local building codes. Maybe it’s the bedrooms in the basement will need larger ingress/egress windows. Or maybe your electrical system that’s not up to code. This bit of information just increased construction costs significantly. Your homeowners policy won’t pay for increased costs due to building codes! Or zoning laws and ordinances for that matter. So here’s what you can do so you’re not caught in this situation. 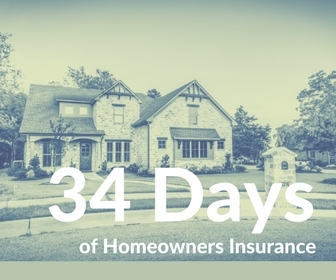 Some homeowners policies come with Ordinance or Law Coverage…not all, but some. It’s an inexpensive endorsement you can add to your homeowners policy if you don’t already have it. Rather than having to pay out-of-pocket, Ordinance or Law Coverage will help you pay for the construction, repair, or demolition of that part of your home which is damaged by a covered cause of loss. The coverage will also help pay for the demolition and reconstruction of the undamaged part of your home when that structure must be totally demolished. Building codes and zoning laws/ordinances change. Ordinance or Law Coverage is there to fill that gap.